If we talk about future generations, we must talk about young people. They are the decision-makers of the future – but what is oftentimes forgotten, they are decision-makers today as well: For most children, teenagers and young adults, the way they dress is an important form of self-expression, and therefore a vital part of their identity. 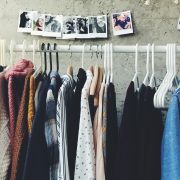 But due to lack of awareness – and, very possibly, lack of funding – affordable clothes are most often the first choice. So how is a young person, who is not familiar with the production chain of the textile industry, and the various forms of exploitation within this chain, able to make sustainable decisions as a consumer? Given the many challenges our societies and environment are facing, children and young people across the globe must be equipped to positively shape their future and be empowered to learn and live in an increasingly sustainable manner. Practical environmental education that is integrated across the curriculum has been shown to be a key solution offering a wide variety of benefits both for students, teachers, the environment and wider society. In 2011 the U.S. State of Maryland introduced a pioneering Environmental Literacy Standard which mandates that all Maryland students are environmentally literate by graduation. Environmental literacy is now taught in very diverse and holistic methods throughout the school curriculum (often in great hands-on outdoor experiences such as restoring reefs and wetlands, planting trees and learning at outdoor environmental education centres). Maryland’s Environmental Literacy Standards was the 2015 winner of the WFC’s silver Future Policy Award, as it provides an excellent holistic model of sustainable and environmental education that has been implemented with the support of a broad coalition of partners. The World Future Council’s Rights of Children (RoC) team is now bringing together Ministries and legislators who are interested in learning first-hand about this pioneering model in an international workshop in Maryland (12-14 October 2016). The legislators will learn about Maryland’s successful implementation of environmental literacy legislation, exchange best practice and identify potential policy reforms for their own countries and regions. In 2011, Maryland became the first US State to make environmental education obligatory for high-school students. The State Board of Education ruled that each local school system must provide a comprehensive, multi-disciplinary environmental education programme that is integrated into the general school curriculum. 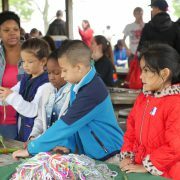 While the teaching of environmental education is now required from pre-school to graduation, the focus is on all incoming Grade 9 students (14 and 15 year olds) who must complete a comprehensive environmental education programme that meets the Maryland Environmental Literacy Curriculum Standards. Every child has the same human rights as adults. These include the right to life, food, health, education, development, a clean environment and the right to be heard. However, despite recent advances, many children today still suffer from poverty, gender inequality, homelessness, abuse, preventable diseases, and unequal access to education. Their rights are forgotten or ignored. Approximately 300 million children go to bed hungry every night. Environmental degradation and conflicts are forcing children to flee their familiar surroundings and live as refugees. Others are forced into exploitative work and cannot exercise their right to education, robbing them of the chance to create a better future. Good laws and policies – and their effective implementation – are the foundation for protecting the rights of girls and boys that were enshrined in the UN Convention on the Rights of Children in 1989. However, children’s rights are not brought to life through pronouncements; they require resolve from our leaders and most importantly practical implementation on the ground. It is now up to national governments to show the political will to ramp up actions at home and lead the response against the violation of children’s rights by ensuring such international commitments are adhered to through laws. Civil society must also play its part to ensure that ignorance and inaction are no longer an option! Instead of asking why things need to change, we have to finally start focusing on the how and highlight solutions that work! 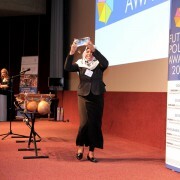 This year, the World Future Council is celebrating the best laws and policies to secure children’s rights, with its ‘Future Policy Award’, to raise global awareness of those solutions that successfully overcome the barriers preventing children from enjoying their rights to a clean and healthy environment, to education, to protection (from child labour, child trafficking, child marriage) and to participation. Only by highlighting these solutions can we speed up policy action towards just, sustainable and peaceful societies for future generations. From America, to Europe, Africa, Asia and Oceania, we have already seen significant changes in policies and attitudes towards children and their rights that provide hope for the future. We are in a unique position to learn from pioneers who have shown us how it can be done. Now it is up to us to replicate and build on their success stories. Fortunately, we do not have to start from scratch. In Zanzibar, the “Children’s Act” which won this year’s Future Policy ‘Gold Award’has proven to be an effective response to child abuse and violence, while promoting and protecting child rights at the same time. The law has led to a marked societal change in attitudes towards children in the country. Alongside a revamped child protection system, many schools are now piloting alternatives to the previously widespread use of corporal punishment and thousands of children have been assisted in returning to school from harmful work. 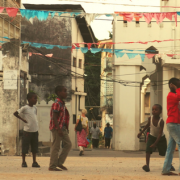 A pioneering feature of the law was a village-level child consultation process which provided young people with an understanding of the law and their rights, giving them the opportunity to voice their priorities and feed into the law’s drafting process. Their views are now represented by over 200 active Children’s Councils. The state of Maryland in the US was the first to require students to be environmentally literate as a high school graduation requirement. The results point to positive school-wide impacts in knowledge, behaviour and local action projects as well as broad improvements in student’s learning outcomes across a range of subjects. Other states, such as Kentucky and Utah have since developed education plans based on Maryland’s “Environmental Literacy Standards”. Finland’s ‘Basic Education Act’, adopted in 1998, guarantees children’s equal access to high-quality education and training, irrespective of ethnic origin, age, wealth, language or location. Finland’s holistic and trust based education system produces excellent results, both in terms of child well-being and international test scores. In Sweden, the Children and Parent Code prohibits all corporal punishment and other humiliating treatment of children. It has fostered a profound change of attitude across Swedish society in relation to violence against children, gaining a very high level of awareness and support, including from children. Sweden is also working with other states to promote universal prohibition of all violent punishment of children. Finally, Argentina’s Supreme Court’s Judgement which upheld the country’s constitutional right ‘to an environment which is healthy, balanced and suitable for human development’ led to a comprehensive inspection, restoration and clean-up plan for the heavily polluted Matanza-Riachuelo river basin in Buenos Aires. These efforts have provided clean drinking water and sanitation to over a million people and are directly benefitting local children through access to health care and relocated housing. It demonstrates what can be achieved when judges start recognizing and enforcing environmental rights which are included (but not enforced) in three quarters of the world’s national constitutions. By looking at these examples, we can lay out the policy incentives required to build a world of growing solutions, rather than growing problems. It is essential that we highlight these best policies, engage our communities to spread the word about them and empower policy-makers to implement them. Action requires more than intent and good will: The time has come for world leaders to step up to the challenge and leverage their powers on behalf of the youngest members of our societies. 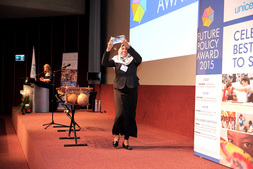 Giving these policies the recognition they deserve by awarding them with the Future Policy Award is only the beginning. We need to raise more global awareness of these pioneering examples and assist policy-makers to develop and implement similar initiatives. The time to act is now! 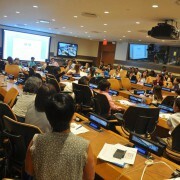 On 20 September 2015, the Voices of Future Generations “Children’s Declaration” was adopted by more than 100 young delegates during the Children’s Summit on the World’s Sustainable Development Goals at the UN Headquarters in NYC. At the same event, child authors from around the world shared their visions of the future with the 70th UN General Assembly. Click here for further information or here to read a copy of the declaration. 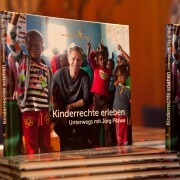 Together with our ambassador and German TV-Host Jörg Pilawa, we celebrated the launch of our new book “Kinderrechte erleben – Unterwegs mit Jörg Pilawa (Discovering child rights – On the road with Jörg Pilawa), in Hamburg on November 18, 2014.